The structure is made of iron, boxed for the side support of 6x6cm size and thickness of 3.5mm and an iron bar full of 24mm diameter. The welding and finishing are performed in a workmanlike manner. The base color used is a metallic silver water, type 647 FIAT, with transparent acrylic catalyzed. 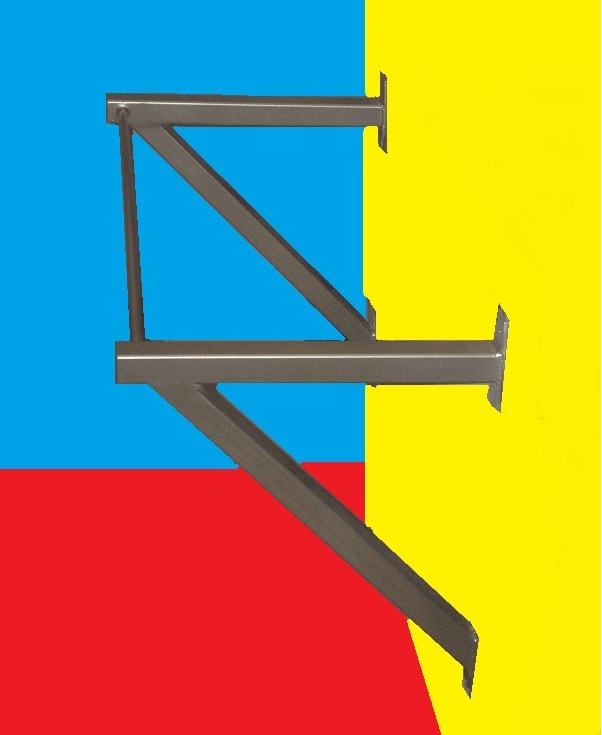 The structure must be hung on the wall, and the bar as this is 70cm.It is ideal for performing aerobic exercises, such as ridges or cross fitness in general. For the cross-Fitness you can be tied ropes stretch to the bar, with the handlebars positioned on the other end, so that the performer pulling the elastics, face processing mainly the chest and deltoids, and so lower the triceps.